Well, well, well. Uber, we knew you were investing a ton of money into creating self-driving taxis and flying cars, but what we didn't know is that you were already testing out your driverless vehicles on the streets of New York City. 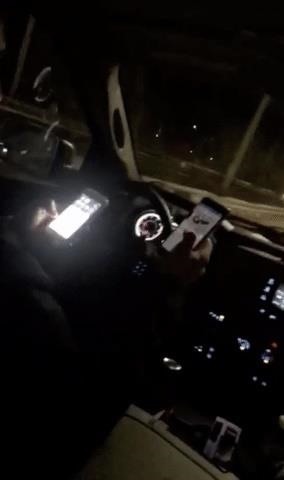 I mean, I know Uber isn't intentionally teaching its drivers to double-fist smartphones on the open road like it's a cruise down Route 66 ... but then again, there I was in the back seat of an Uber on Saturday night. Terrified for my life. Is the car self-driven? Is it cruise control? Am I going insane? Nope. It's just my Uber driver doing his "driverless" thing. Who needs hands anyway? Cars totally don't need hands. According to my man above at Uber, it's totally possible to drive on the highway while texting on two phones. Take that, Department of Motor Vehicles! You know what? This is exactly why Uber needs driverless taxis. As funny as this is, you shouldn't have to fear for your life while riding around in an Uber. That's what a yellow cab is for. 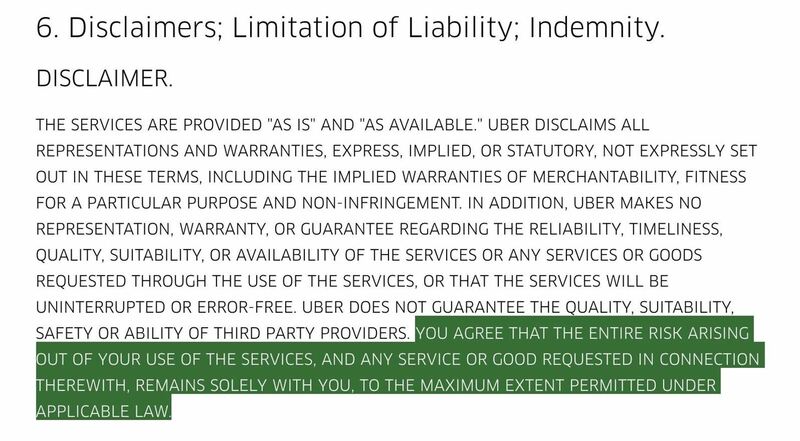 Which reminds me, did you know that you accept complete risk every time you ride in an Uber? Every time you get into an Uber, you agree that you may be exposed to potentially dangerous and unsafe driving techniques and that any fault that occurs during the ride is at your own risk and not their own. But the bad news doesn't stop there. During the last three months, according to Who's Driving You?, there has been one fatal off-duty accident and two fatal on-duty accidents made by Uber drivers worldwide. Since 2013, there have been over ten fatal on-duty accidents involving Uber drivers across the globe. There have also been hundreds of sexual assault cases, felons behind the wheel, alleged kidnappings, DUIs, and a number of other offenses made by Uber drivers. An Uber driver on the phone while driving is one thing, but an Uber driver using two phones and both hands to text? That's a huge accident waiting to happen, and guess who's going to assume all the risk for that adventure? U.S. fatalities from traffic accidents rose 7.2% [in 2015] to 35,092 [in 2016] — the largest increase in 50 years — and distracted driving played a role in 10% of those deaths, according National Highway Traffic Safety Administration figures released [in August 2016]. NHTSA found that fatalities from "distraction-affected" crashes increased 8.8% to 3,477 from 3,197 for that period. And last year, according to the National Safety Council, total vehicle-related fatalities went up to about 40,000, meaning the total number of distracted drivers responsible likely went up as well. Now contrast that with the research from McKinsey on the safety of autonomous vehicles. They concluded that self-driving cars will reduce crashes by up to 90% over human drivers. In 2016, Uber also noted to Newsweek that around 1.3 million people die every year from traffic accidents. The ride-share company believes that "self-driving cars can help save millions of lives." Well, when your drivers are running around on two phones at once, how can they not? It's not like the car is going to do that. Do you remember Knight Rider? Does anyone? You never saw KITT text and drive while giving David Hasselhoff a ride. Which is great, because The Hoff is not someone I'd ever let drive a vehicle. All I want is to be driven by a safe and considerate driver, vehicle, robot, machine, or whatever — anything that would get me home safely. Sitting in the back seat of an Uber feeling like I'm about to die is not a situation I ever want to be in again. And no, I did not ask for a refund. I was just happy to be home and alive in Chinatown snuggled in between my fuzzy snowman blanket while listening to the sound of drunk girls singing the "Pledge of Allegiance" outside my window — but maybe I should have.